New research conducted by the Association of British Dispensing Opticians has identified a worrying lack of concern from the British public when it comes to eye care. The study of over 2,000 UK respondents, found that over half (55%) of those asked were willing to purchase prescription glasses online, compared with only 35% who would consider purchasing pet medication on the internet. This suggests Brits don’t take their eye health as seriously as they should, valuing their pet’s health over their own eye health. While online shopping can seem like a time saver, it is important to raise awareness of the problems that can occur from ordering your specs online. Online glasses sellers are unable to offer a professional, customised fitting service for purchases leaving customers potentially at risk of ill fitting, uncomfortable glasses. Buying glasses online also increases the risk of ordering the incorrect prescription or receiving lenses that are incorrectly centered for your eyes, leading to blurred or poor vision and even headaches. Clive Marchant FBDO, President of the Association of British Dispensing Opticians, explained the dangers of buying glasses online: “While buying specs online can appear attractive, it’s not that simple. The quality of the frames and lenses you purchase can vary tremendously, the frame not only has to be a style you like, it also has to fit your face. How and where it sits on your nose is important for both comfort and vision. 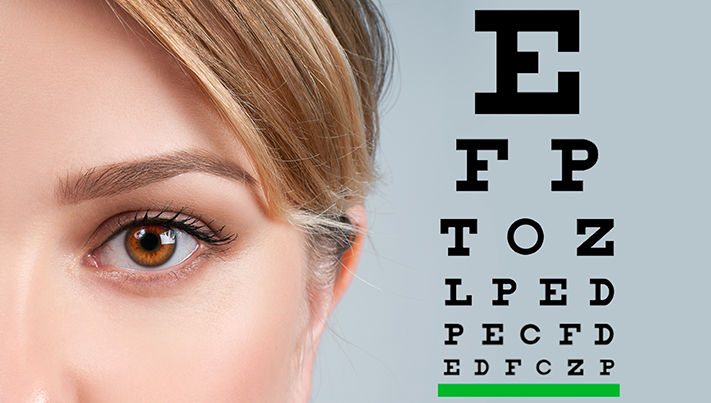 If the frame sits too close or far away from your eyes the best visual correction won’t be obtained. Likewise, if it sits too high or low and the curvature and angle of the front are wrong this can affect your vision. “The size of the frame is also so important and has to be suitable for your prescription. Too large or irregular shaped frames can mean your lenses are excessively thick and heavy. It’s not only the type, style and quality of the frame and lenses that are important, but also ensuring they fit correctly for the wearer. Every person’s head shape varies, so having the frames fitted by an expert can make a major difference. Clive explains: “When your spectacles arrive they will also need fitting. Yes, your local optical practice can do this for you but don’t expect this for free. You may find a frame chosen online simply won’t fit however much it is adjusted! The research also highlighted how many UK adults are choosing not to wear glasses, even when they know they need them. A quarter of Brits (25%) have prescription glasses but admit to not wearing them as much as they should, while 17% of respondents have been told by a professional they need glasses, but don’t have them. While this is worrying in itself, some of the justifications given by respondents for not wearing glasses were even more concerning, with one in five (20%) not believing glasses look good on them, 13% feeling embarrassed to wear them and over one in ten (12%) not wearing their glasses because they are ill fitting. Always seek advice from a registered dispensing optician when purchasing glasses and always make your optician your first port of call for any eye issues.